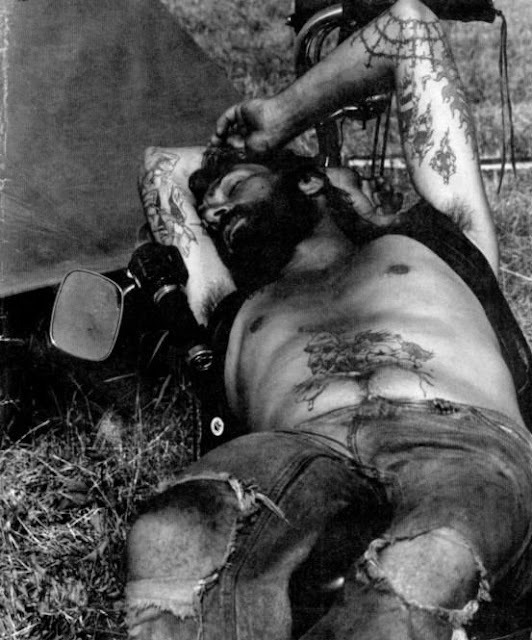 Can anyone really sleep on a motorcycle? This guy seems to be trying, and we can just barely see the handlebars. I'm not even sure if this is vintage, but I like it a lot.